The 2017 "WannaCry" attack, which caused an estimated $4 billion in damages, brought the dangers of ransomware to the attention of the general public. Ransomware is malicious software that encrypts your files and data once it infects your machine, preventing you from using them. The software then displays a message demanding that you pay the attackers a ransom to regain access — and it may or may not hold up its end of the "bargain." Phishing emails are one of the biggest vectors for the spread of ransomware, although they can also be used for other malicious behavior such as identity theft. During a phishing attack, users receive an email claiming to be from a legitimate organization, such as Amazon or the FBI. Users are then redirected to a fake third-party website and asked to enter their personal information or download a file. Brute force attacks are simple, yet often effective, methods of gaining unauthorized access to a protected account or server. During such an attack, automated software continually attempts to enter user credentials or passwords until it discovers a correct answer—similar to trying all of the possible combinations of a padlock. Organizations use many different strategies in order to counter brute force attacks, such as limiting the number of login attempts and requiring passwords to have a minimum number of characters. SQL injections are one of the most common methods for attacking web applications. Essentially, a SQL injection occurs when an attacker provides illegitimate user input, which the website then interprets as a block of SQL code requesting information from its database. This can be used to perform all kinds of unauthorized activity, such as deleting all of the items in a database and accessing stored usernames and passwords. WordPress is the most popular website content management system, which also makes it an appealing target. Even if your website itself is secure, there may be vulnerabilities in some of the WordPress plugins that you use. This is particularly dangerous if you have an e-commerce website: your customer data could be stolen, dealing a heavy blow to your company's reputation. Some packaged software applications don't distinguish between different levels of access, which leads to users being able to view information that they shouldn't. In other cases, employees share login credentials. This leaves you extremely susceptible to insider threats, both intentional and unintentional. In order to address this problem, many organizations use custom software that can control users' privileges and delete unused accounts. Recent years have seen hackers using machine learning algorithms to make their attacks more sophisticated. For example, malware can "learn" to change its behavior to evade detection by security software, and can now bypass systems such as reCAPTCHA that are designed to block access to bots while allowing humans through. As these attacks become more advanced, your organization must ensure that you're protected against these emerging threats. Even if you're aware of the security threats that your organization faces, it won't do you any good if you do nothing to prepare for them. If you're worried that your cybersecurity knowledge isn't up to snuff, speak with a custom software development partner who can point you in the right direction and inform you about the current best practices in the industry. In addition, every organization should follow some basic steps, such as sticking to a plan to update and patch your software at regular intervals. Many organizations rely on popular packaged software and services, from WordPress to Dropbox. However, this also makes these solutions bigger targets for attack. Even if you do everything right to protect yourself, you could still be the victim of a data breach if your partners and vendors are lax on their cybersecurity practices. Using custom software can give you more fine-grained control over the specific security features that your organization needs. Because your organization is the only user, there's also a smaller target on your back. 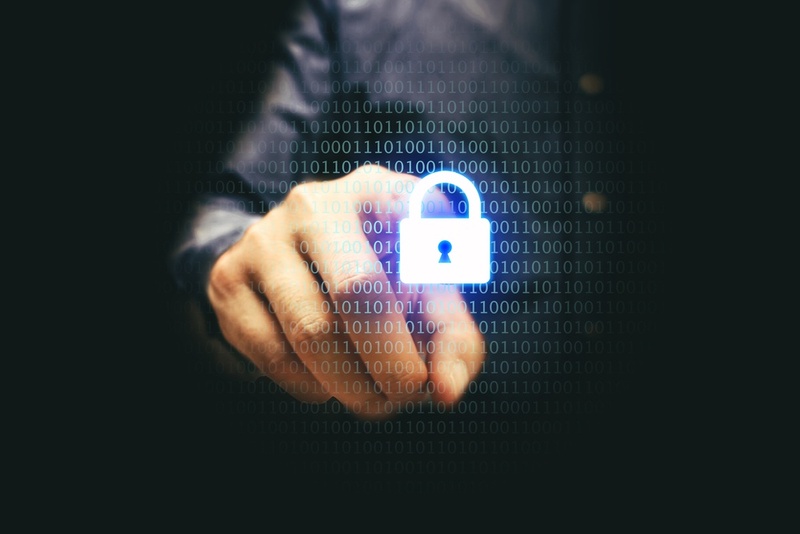 If cybersecurity is a preeminent concern — and it should be for every organization — speak with a custom software development company who can help advise you on the right path forward.